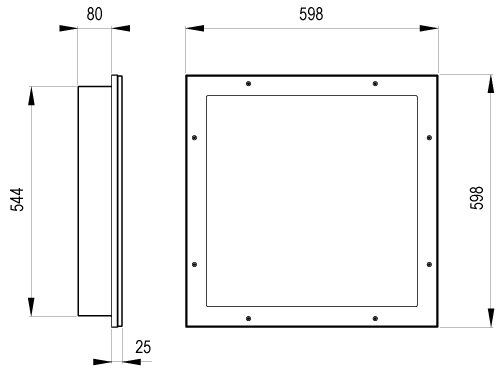 Square recessed body manufactured from zinc coated steel with upstand recess. 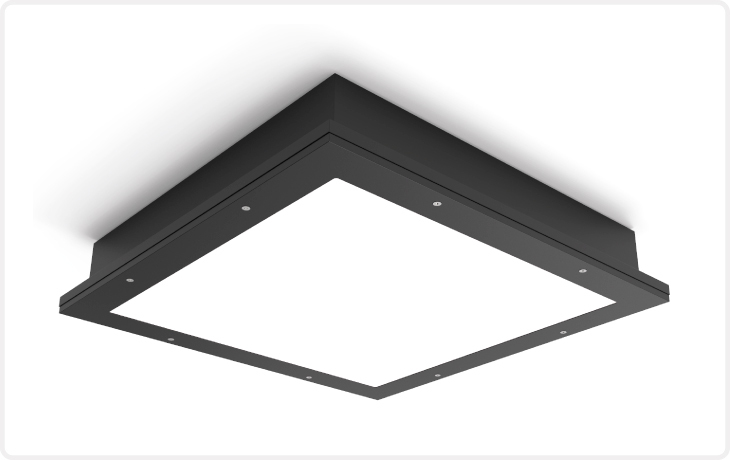 Mounting through body sides to ceiling frame or through rear of body dependent on ceiling type. 3mm clear patterned polycarbonate flat panel secured by anti-tamper fixings.